ARE YOU READY FOR THE FINAL BATTLE? 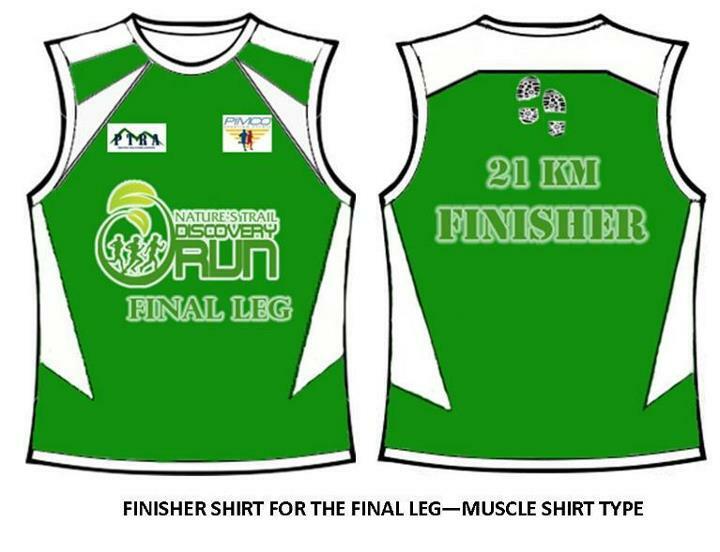 For those who ran at Leg 1 and Leg 2, Here's your chance to finish the last leg. The final battle of the race registration is now open for all the trail runners and natures lover. 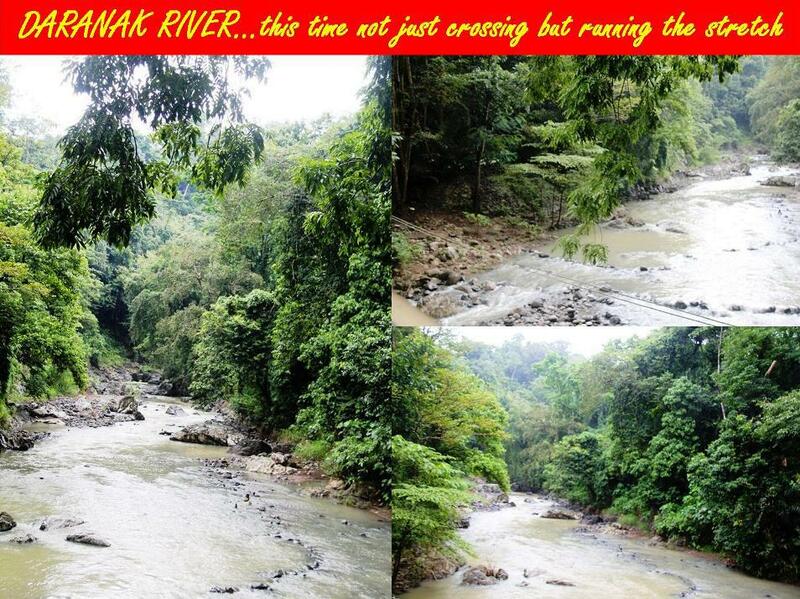 Discover more hidden nature in Rizal that you haven't seen yet. If you haven't been into Daranak Falls, Calinawan Cave and Tanay Grotto then here's the right one for you, another fun, thrilling and most exciting adventure in Tanay Trail Running. 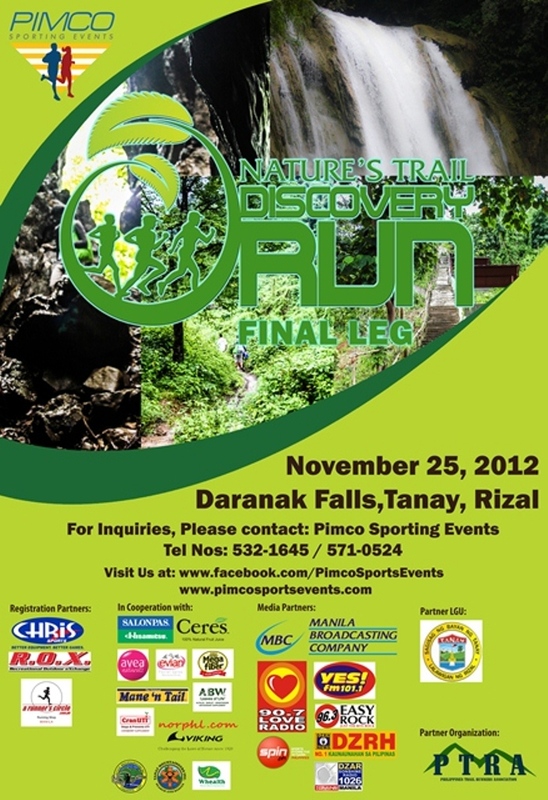 Nature's Trail Discovery Final Leg of the trilogy series is now open for Early Bird. The biggest of the trilogy series, the Final Leg will determine the Top 100 Trail Runners of the Year Award for those that have run the race in either the 1st Leg. To be in the running for the Award runners must have run at least the Final Leg and either of 1st and 2nd. 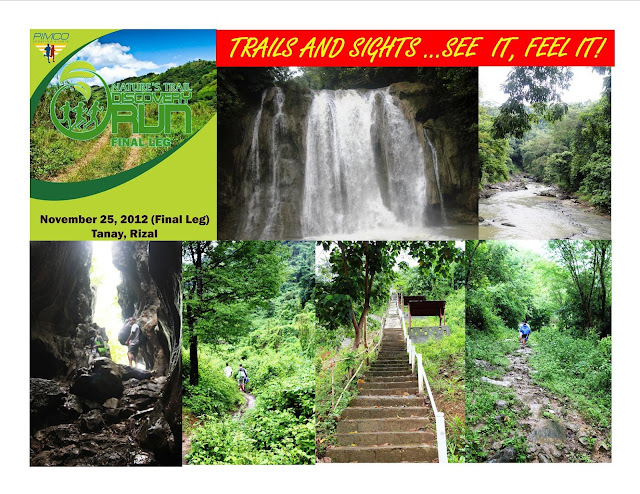 DARANAK FALLS- The Pride of TANAY is the 3rd venue for the final leg. 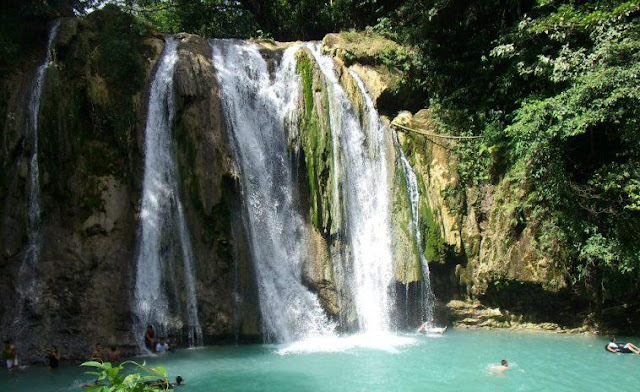 This falls is the popular summer getaway for locals, neighboring towns and tourists alike. It is also considered to be as one of the most beautiful natural formations in the country. All Runners from Different Categories must take this route that leads to the Grotto of the Blessed Virgin Mary with more than 400 steps going to the Calinawan Cave. Once you've reach the Calinawan Cave, I am pretty sure that most of you will stop by to this beautiful amazing God's Natures Creation and will take some photos, I advise to bring your headlamp along with you it is dark inside the cave. 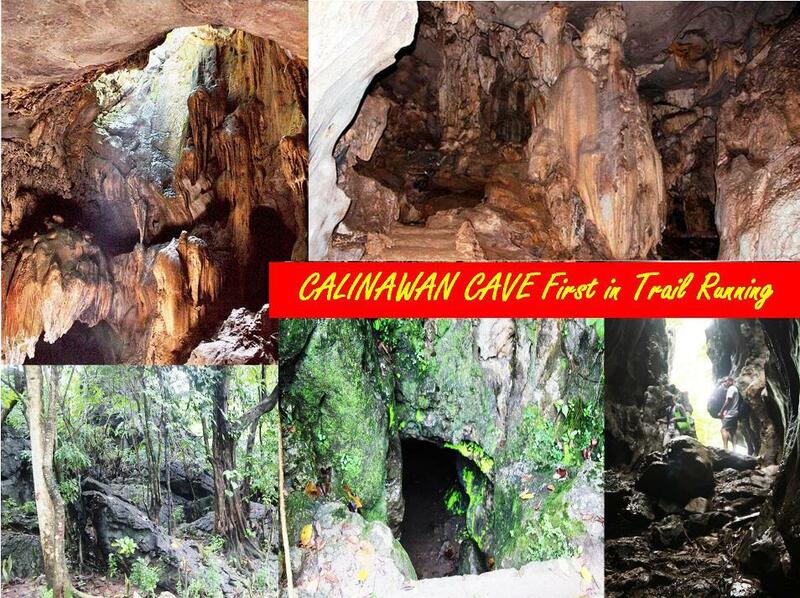 Calinawan Cave to give other runners a feedback got its name from the word "Linaw" a Tagalog term for Clear. This cave also served as a shelte and a hideaway from the Japanese during World War II. It was also in this cave that Japanese Soldiers surrendered to the Liberation Forces. You will get the chance to view this amazing cave by taking the Final Leg and only Phimco Sporting Event Organizers are the first to get this venue for the Trail Running. After passing Grotto and Calinawan Cave, All Runners must proceed to off-road forest trails and this time Overlooking view from Laguna de Bay and Masungi Rock. Regular---- 500.00, Finishers Certificate To all. AwardsAll participants who completed the trilogy and finished all the races will get the Nature's Trail Discovery Run "Trail Blazers Award"
Top 25 Finishers of both 10k and 21k categories who consistently land in the top 25 of races 2 & 3 will get the Certificate of Recognition as Top Finishers Award. All runners will get loot bags courtesy of sponsors. All runners participating in any event should be at least 18 years and above male or female on the day of the race. Runners below 18 should be accompanied in the race by a guardian. Runners participating in 5k Trail Fun Run should be crossover from road running or beginner runners. Runners already participated in 10k and 21k in previous races is not eligible to register and participate in the 5k. AccommodationRunners and their families and friends who would like the outdoors may get accommodation near the venue. This is highly recommended as there are amenities that you can try your hands for very affordable rates. The Bus will passed-by and will not be standing by please be at the pick-up point at the time to avoid inconvenience and present your Service Stub. The Time of Pick-up are estimated arrivals at the pick-up locations given. If you miss one pick up place, you can still catch up by proceeding immediately at any of the pick-up points ahead. The Shuttle Bus will not wait. Thanks Jackie...see you on Nature's Trail Discovery Run Final Leg. Keep safe and God Bless.